What is the Three Cueing System? 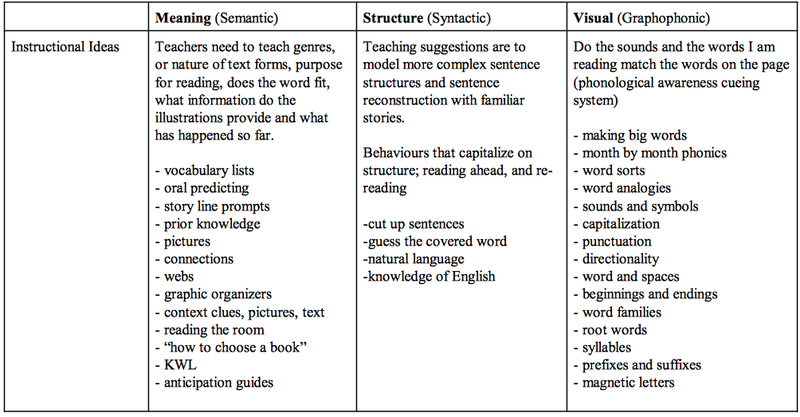 Below is an instructional table describing the process of the 'Three Cueing System' which displays how it works, instructional ideas for teachers to use within a classroom context and sample questions to prompt students use of this system. 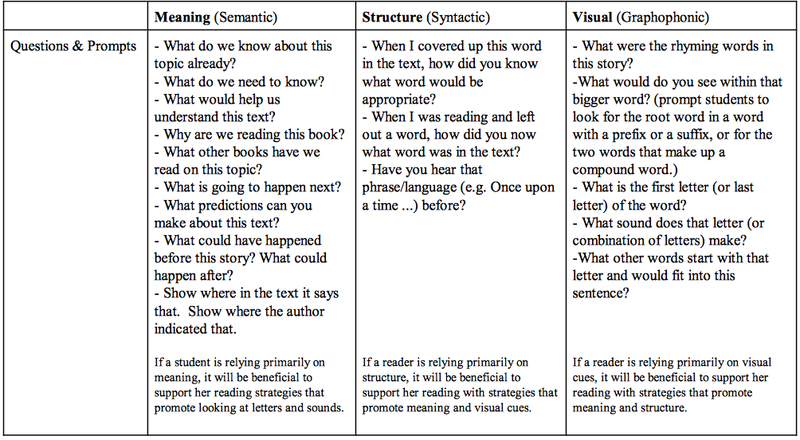 This will be used throughout the unit plan via assessment pieces and lesson content.